W.D. (Doug) Cowan is the principal and key instructor with W.D. Cowan Associates. With over twenty-five years of sales, marketing and management experience, he has a proven, award-winning record of accomplishment in the world of business-to-business selling. 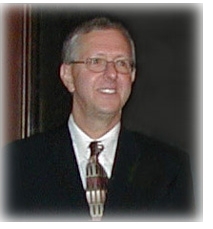 Prior to establishing his consulting business in 2003, Doug had a successful sales and marketing career with Hewlett-Packard (Canada), Agilent Technologies (Canada), and Honeywell Controls. Doug developed his training interest and skill as national Field Training and Development Manager at Hewlett-Packard (Canada). He is also a past instructor of the highly regarded Dale Carnegie Course. As a sales consultant, trainer and coach, Doug helps sales people to better understand the steps in their sales process, and the value that their customers want and need from them. Doug's instructional methods encompass the "how to do" not just the "what to do". He has been praised for his ability to not only develop new sales talent but also to challenge senior people to learn and accept new ideas, strategies and techniques. Doug has provided benefits to companies from a wide range of businesses: industrial, manufacturing, distribution, medical, scientific, high technology, computers, and software. Doug prides himself on being very approachable. He is a leader, able to help people recognize and build on their strengths. A skilled speaker and presenter, he believes in integrity and commitment to results. Doug is based in Toronto and responds to client needs throughout North America, the UK and other English-speaking countries.